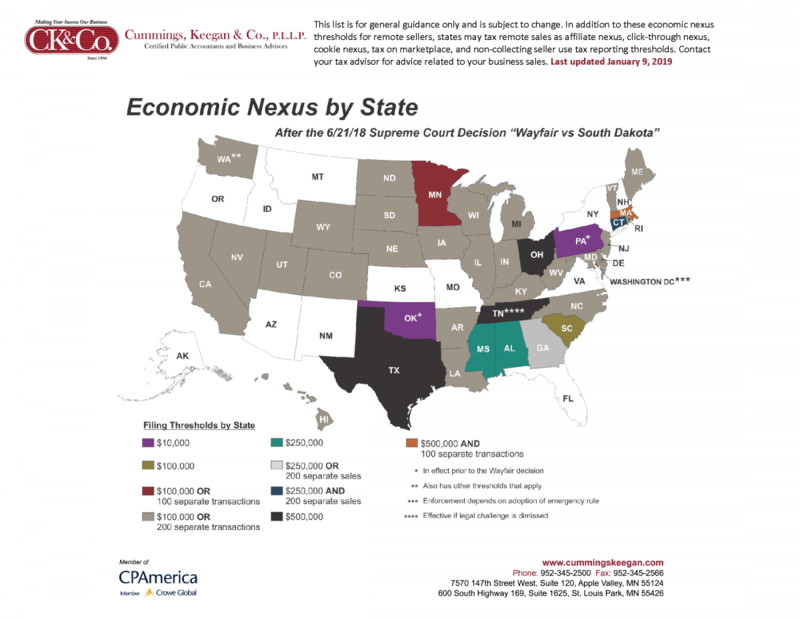 Since the June 2018 Wayfair vs South Dakota Supreme Court decision, states have begun adopting new and differing rules for collecting their share of sales tax from businesses in other states selling locally. The result is a complex matrix of collection requirements on the part of businesses selling to customers across state lines, particularly sales via the internet. If this applies to your business, the attached graphic will help you understand your obligations (current as of 1-9-19). Your internal accounting may need to be adjusted to comply with these ever expanding changes as new states join the race for new tax revenue. Ask us how we can help you comply. Contact us at the office nearest to you or submit an information request online.